Hyundai came to the Paris Motor Show with a new "N Option" show car. 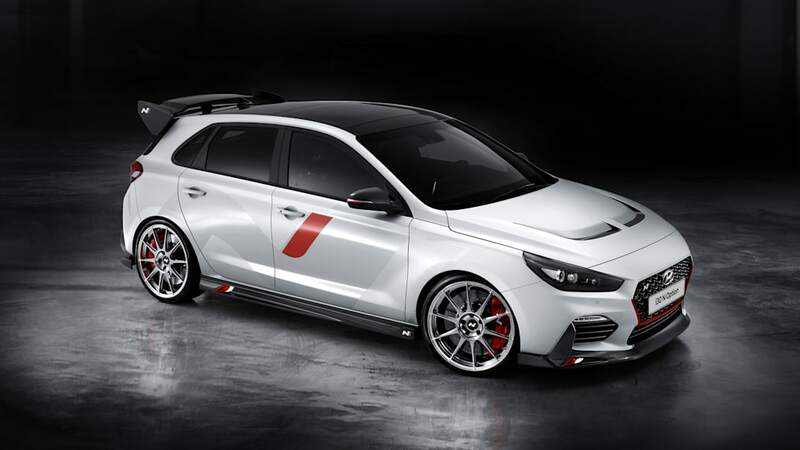 It's based off the Hyundai i30 N, and is designed to give us a glimpse of what Hyundai's N division will look like in the future. 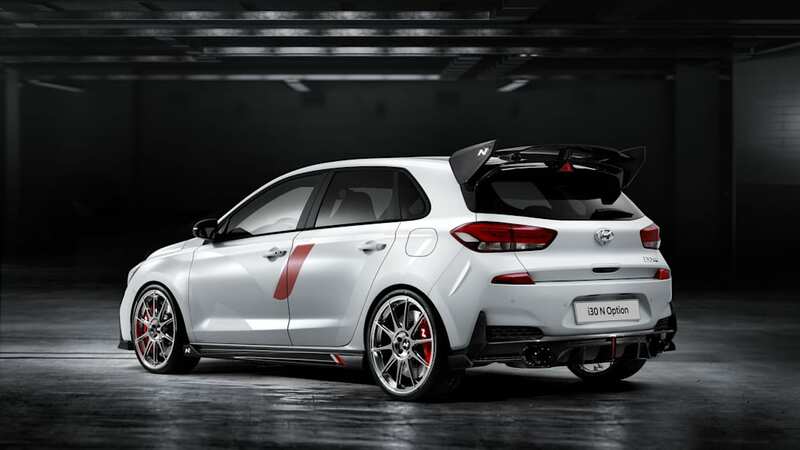 While this car doesn't feature any powertrain modifications beyond its stock boosted 2.0-liter and six-speed manual transmission, Hyundai has thrown a book's worth of parts at it to make the i30 N look as racy as can be. It has a carbon fiber hood with air vents, carbon fiber rear wing, unique quad mufflers and rear valance design, lightweight 20-inch wheels and some super-grippy rubber. 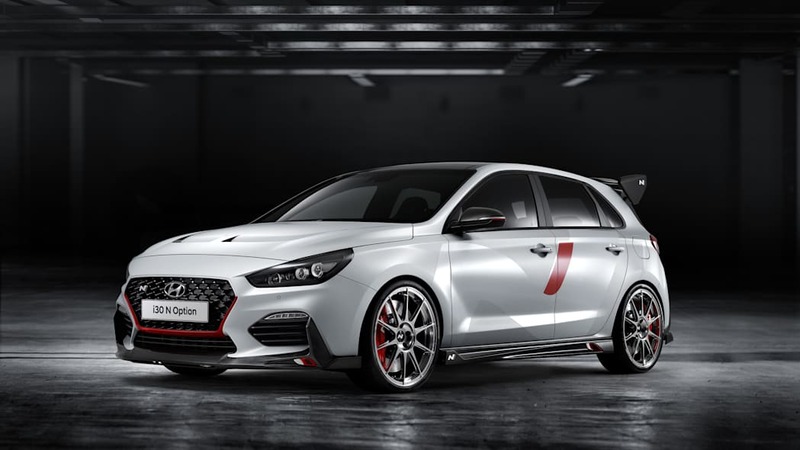 Hyundai used a special matte paint for this show car as well, with red accents sporadically placed throughout the car — we're definitely fans of that mean-looking snout. 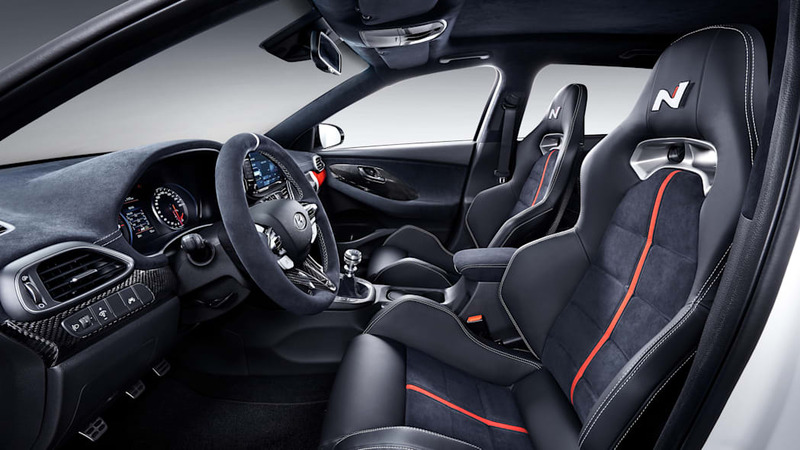 The interior gets lightweight N bucket seats in Alcantara. Hyundai covered the entire dash and steering wheel in the stuff too. The carbon fiber doesn't stop on the exterior, either; it appears on the dash, air vents, door handles and steering wheel. It has what appears to be a really cool-looking shift knob specially made for this car too. This hatchback takes the i30 N and turns it up to 11 in every way. We love it. Hyundai says it's launching this new N Option in the "near future," but it's not guaranteed to be exactly like this. We're guessing Hyundai is using it as a feeler to see exactly what it'll come to market with. Of course, the U.S. doesn't get the i30 N, but the Veloster N is coming. It wouldn't be difficult to imagine Hyundai giving the same treatment to its odd-numbered-door cousin.